Former president Mahinda Rajapaksa’s hopes of coming back to power as Sri Lanka’s prime minister crashed when the. United Peoples Freedom Alliance (UPFA), which fielded him as a candidate, lost out narrowly to the United National Party (UNP)-led coalition in the parliamentary election held on August 17. In the most peacefully conducted election in Sri Lanka in recent times where over 70 per cent of the people are said to have voted, the UPFA could win only eight of the 22 electoral districts as against its rival UNP’s victory in 11 districts. 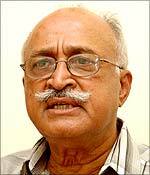 The Ilankai Tamil Arasu Katchi (ITAK)-led Tamil National Alliance (TNA) won in three predominantly Tamil districts of Jaffna, Vanni and Batticaloa South. It would support UNP-led government rather than that of UPFA. In Sri Lanka’s electoral system, out of the 225 parliament members, 196 members are elected through proportional representation system from 22 electoral districts. Each party is allocated a number of seats from the quota assigned to the district in proportion to votes secured by the party. The balance of 29 seats known as national list are allotted to parties according to the country-wide proportional votes they obtain in the election. Rajapaksa conceded defeat in the morning of August 18 even before results were officially announced. He told the AFP news agency “My dream of becoming prime minister has faded away…I am conceding. We have lost a good fight.” Though a message from his twitter account later contradicted this, he must have seen the writing on the wall early in the day. As Wickremesinghe described, the presidential election was in a way a referendum. Over 15 million voters of Sri Lanka had to decide whether they wanted Rajapaksa’s return to politics after a decade in power. Once hailed as Sri Lanka strongman, Rajapaksa must be a disappointed man to be rejected once again by the people in his bid for national leadership within a year after he lost the presidential election in January 2015. He had high hopes of coming back to power as prime minister after the powers of executive presidency were cut down to size by President Maithripala Sirisena. Rajapaksa also had to overcome the efforts of Sirisena as chairman of the Sri Lanka Freedom Party (SLFP), to prevent him from contesting as a UPFA candidate. Though neither the UPFA nor UNP-led alliance is likely to have a majority in parliament, Ranil Wickremesinghe, victorious leader of the UNP having larger number of seats, is expected to be sworn in once again as prime minister. President Sirisena is likely to pick his loyalists within the SLFP to join the national alliance government led by Wickremesinghe. Thus both Sirisena and Wickremesinghe will be able to follow up in action to fulfill their agenda for structural and constitutional reforms and pull up the sagging economy. Rajapaksa’s failure is a political triumph for Sirisena, particularly after senior members of the SLFP central committee challenged his leadership and tried their best to bring back Rajapaksa to the detriment of Sirisena loyalists. Sirisena sent a strong message of his authority and sacked 13 senior members of the central committee including the all important secretaries of UPFA and SLFP and appointed his own nominees soon after polling ended on August 17. But Sirisena’s action could be challenged when the Supreme Court reopens on August 31 from vacation. According to a former chief justice, as per the party constitution only the secretary of the party has to nominate the national list members. On the other hand court action may well be deferred as some of those affected appear to be making friendly noises to get back into good books of Sirisena. Rajapaksa as a successful member of the UPFA will have to sit in the opposition benches in the same parliament where his writ ran unchallenged when he was president. If he is chosen as a leader of the opposition by UPFA members, he will be presiding over an anomalous situation when some of the members join the cabinet. Would he do it? In addition to former president Rajapaksa, his brother Chamal Rajapaka and son Namal Rajapaksa have also won. This would ensure an element of protection for the three Rajapaksas as they cannot be arrested when the parliament is in session. This becomes important in the investigations into cases of corruption and misuse of office now underway. But this will spell trouble for Rajapaksas. Mahinda is facing cases of corruption in handling of public funds and his brother and former minister Basil is tangled in another similar case in the law courts. These cases are likely to move on a fast pace. But we can expect both Sirisena and Wickremesinghe to tread carefully lest they antagonize Sinhala nationalist segment by vindictive action. As far as India is concerned the news of Wickremesinghe combine’s victory would be welcome though even had Rajapaksa come to power he would have handled India with kid gloves. As far as China is concerned, probably it would rue the failure of Rajapaksa as a lesson learnt, and court the new leadership to get its stalled projects through and get back to business. Nothing moves Chinese like money and President Xi Jinping like 21st Century Maritime Road. Sri Lanka is important for China on both counts. 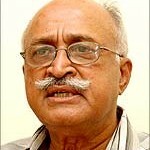 Results Out; What Options For The Tamils? Rajapakse also starts from there.it not difficult to buy over MPS for him from specially from muslim members. Strictly speaking , there is no DEMOCRACY even in the USA.I watch CNN from here everyday…specially the political debates etc. Listen to what Donald Trump says. We call the dirty money “paga” or bribes….To Americans its a commission or the political contribution made by the lobbyist to a party. So how can we have it in SRI Lanka, with any leader? You may be an exception, when it came to casting the vote to a person who is reputed for good governance. However, you have to admit that the elections showed that Mahinda is the most popular politician in SL, in spite of all those vindictive steps taken by the President. All those who joined Mr Sirisena from the SLFP – like Dissanayake at the beginning, were rejected by the voter. JVP lost, but preached a lot. Good politicians like Rosy was not elected. So how can you prove your thesis when the electorate itself disregarded the so called good governance principles and elected spoilt politicians of the past.Even the UNP got those numbers (up by 20 seats ) because of the opportunists who contested under the UNP like Champika and formed a coalition.Why is the UNP still giving high posts to RAVI KUDU+RAJARATNAM Business) & keeping Mahendran? Why do you talk of Democracy with those corrupt people running the show. Besides, all the steps the President took, from the time he became the Head of the State are illegal. How can you contradict my statement.Think: DEMOCRACY-CONSTITUTION…disregarded…appointing a cabinet, Disregarding SLFP & UPFP constitutions…no Democracy. Sorry to say, with all those above you can only have Democracy in your dream world. I am surprised that a person of your calibre wrote that article. We are all mundane people…its OK if you are having a motive to write like that. Democracy is good in Western nations but is a failure in South East Asia as greedy, corrupt and criminals politicians use it for their advantage. India, Pakistan, Bangladesh and Sri Lanka have been failing since independence. The British colonialists who merged many nations as one for easy administration but they refused to join to create a mighty EU. Due to Western colonialism that merged many nations as one for easy administration, many races, people and nationalities lost their freedom, independence and sovereignty due to chauvinistic leaders. Lack of rule of law, impunity to criminals, denial of human rights and Justice, chauvinistic politics and denial of rights are the core values in the South East Asian politics and it must end for the sake of good governance. Where exactly was your concern for Democracy when Singh and you were holding on to MR’s skirt, clandestinely offering arms, intelligence, funding and even unreserved support at Geneva against Human Right violation challenges, with no questions asked?! Where exactly were you hiding your backbones then? Your lip-service to Democracy now is nothing but an attempt to distance yourself from the cowardly, uncouth records of the Government of the behemoth India, unable to contain the Mickey-mouse tyrant in this miniscule island in the South. 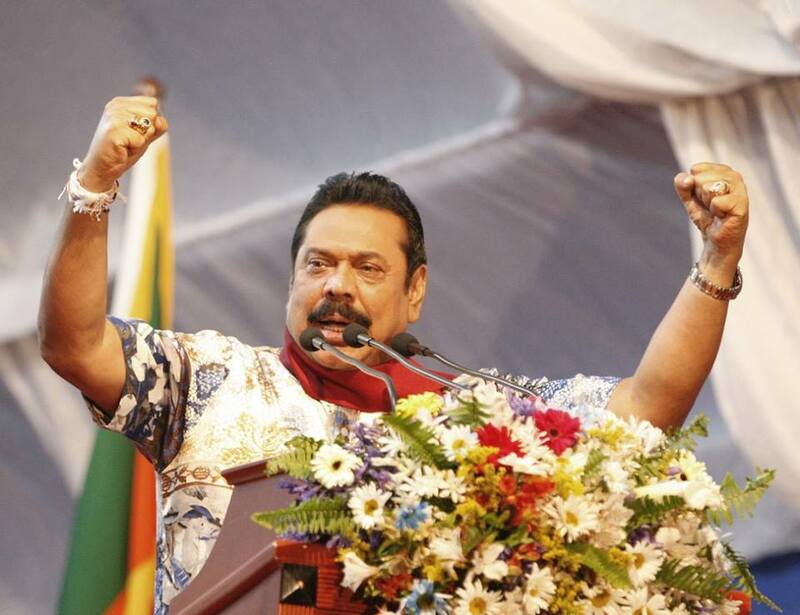 Mahinda has lost in his endeavour to be PM. He should not have ventured into this game after being President for two terms. However, he is a force in politics of Sri Lanka, nevertheless he should now consider to give up politics and spend a retired life. Poverty India is the only country in the world issue caste certificate to her own citizens ..what a SHAME but many Indians don’t have birth certificates even today how is this ? All this time you were propagating the virtues of the Jarapaksha’s,why this about turn now.You Indians,have done enough damage,please shutup and mind YOB. MR should have shown his limits and should not have chosen to contest and if he continues to be in politics he will lose his popularity further. Since Independence, Sri Lanka has behaved democratically, and that includes the Rajapakse government. Democracy has always been victorious. Undemocratic forces in the guise of the TNA gained LESS than 5% of the vote, and yet will create more than 90% of the problems. PR worked really well to represent individual votes correctly. This is what I recorded from Island election results by district. Can a number cruncher VERIFY this for me please? Whatever doubts we had about the PR system worked to represent individual votes better than the british first past the post system. But UNP also should not ululate and shout about a landslide and therefore GOVERN with equanimity and dont become the thugs they became after a few good years when they won 5/6th in 1977 or how MR’s gang became arrogant thugs after 2010 when the war was won. VERIFY my numbers. Victory for Democracy spells loss for India.